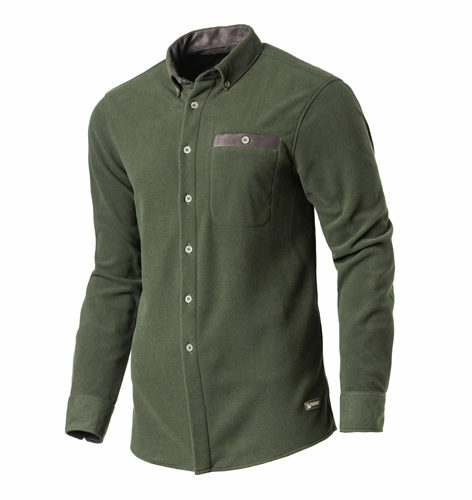 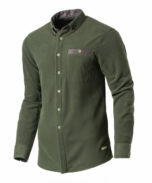 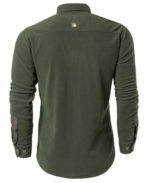 Shirt made of warm fleece resistant to pilling, in dark green colour. 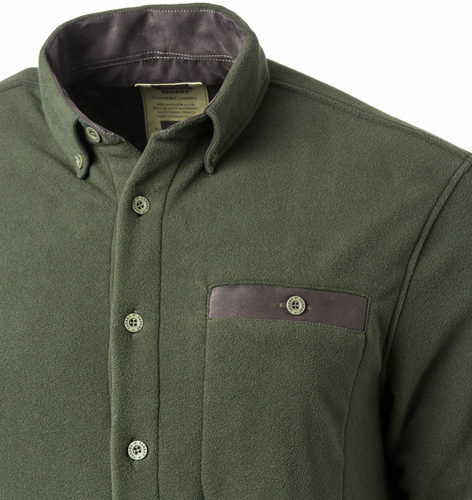 Buttoned collar. 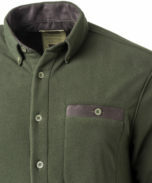 On the left a concealed buttoned chest pocket. 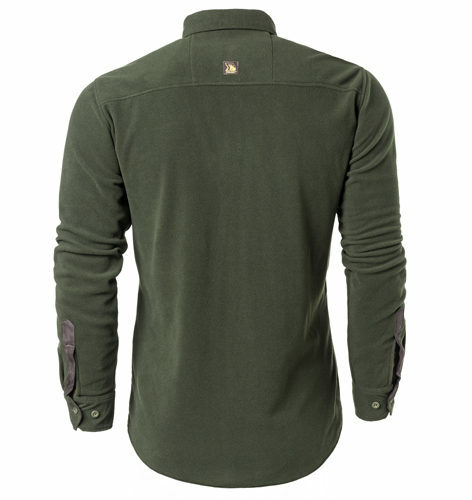 Upper part of the pocket, the inside of the collar and cuffs finished with brown suede.